Millions of people worldwide can't afford to keep their homes warm, but few realise the heat wasted in our energy system could provide the answer. We need to do more to prevent valuable energy being lost to the environment as heat. 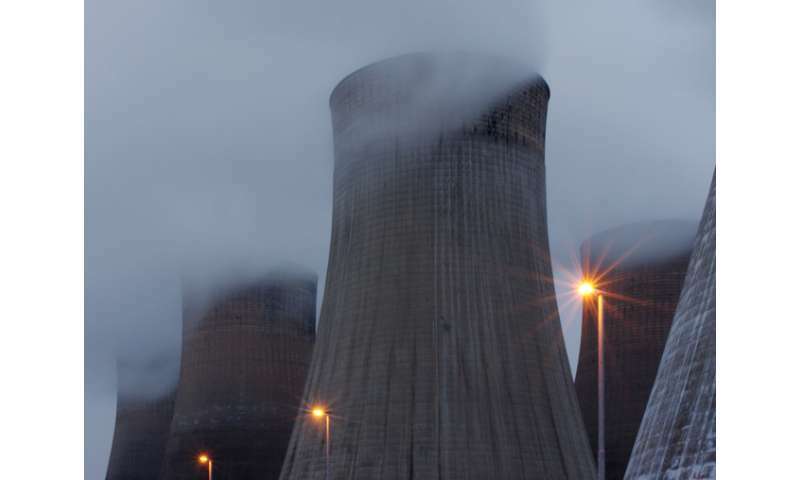 It's not just draughty buildings – power stations lose a vast amount of heat through their cooling towers or dumped into waterways, equivalent to a third of all home energy use, while UK industry wastes enough heat to warm more than two million households. Storing this heat can even help us manage renewable energy – at lower cost than batteries. A 2013 study by Buro Happold showed that tapping into the waste heat rejected into London's environment could provide enough warmth for the whole city. What's needed is a strategy to "join the dots" between waste heat sources and demand for heat using new infrastructure. Early initiatives are currently underway, looking to capture waste heat from the London Underground and from transformers on the power network to heat homes. In Scandinavia and Eastern Europe, communities often share their heat sources, with customers connected to a "heat network" carrying hot water in well-insulated pipes. Instead of having boilers in individual buildings, they have heat exchangers which pass heat from pipes buried under the street outside to heating systems inside. For example, in Warsaw individual boilers were replaced with a network during post-war reconstruction leading to big reductions in local air pollution. In the UK, cities such as Sheffield and Nottingham have pioneered these networks to distribute heat from waste incinerators. Burning off household waste produces a lot of heat, and putting this energy to use helps the cities to tackle fuel poverty and reduce their carbon footprints. Sheffield already has 50km of heat pipes in its city centre, and a new power station fuelled with locally sourced waste wood will generate renewable electricity and also energy to feed into an extended heat network. Industrial processes rarely produce heat at the right time to meet demand, but energy can be stored in these heat networks by using large, well-insulated hot water tanks that can hold the energy for several days. Boreholes deep underground could store heat between whole seasons. After all, energy stored as heat costs far less per unit than electricity stored in batteries. Energy storage would be part of any plan for Sheffield to make use of industry's wasted heat, but the benefits could extend much wider than the city itself. As increasing amounts of intermittent renewable energy are fed into the national grid, large heat stores for power stations with a heat network allow for flexible electricity outputs. At times of excess electricity production from renewables, this energy could be taken from the grid and stored as heat. Since heating uses up 44% of the UK's energy, and a similar amount in the US, heat networks with energy storage can play a major role in making national energy systems more efficient and sustainable. Even in warmer climates, there is a growing market for district cooling systems which operate on similar principles. At times of excess electricity production from renewables, this energy could be taken from the grid and stored as heat. That's a rather wasteful way to use the energy. The reason is simple. Suppose you have 3 units of energy in the form of coal, and if you turn it into electricity, you get 1 unit of electricity out. That means its three times cheaper per unit of energy to use the coal for heat than for electricity. Meanwhile, renewable energy is around 3 times more expensive than the electricity from the coal, particularily in Europe, so when you switch the heat source from coal to, let's say wind power, you are actually paying something like 9 times more money for the same amount of heat. Imagine if your heating bill went up 9x! Heat, especially low temperature heat is a low value and low price product, and electricity is a high value product. Using the high value product to substitute the low value product is practically throwing it away. That is btw. 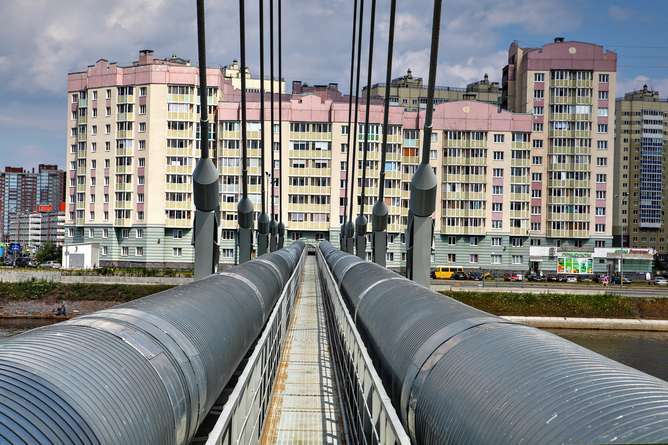 why district heating is so popular in eastern Europe. Take Latvia for example. Russian coal for large industrial operators costs barely a cent per kWh while electricity for residential users costs 17 cents a kWh. If they didn't have district heating, every single house would be burning coal, the same as how households in UK and Germany etc. are burning gas for heat. It would cause massive issues with smog and soot from inefficient and poorly maintained boilers. No, Eikka, we are not going to burn any more coal, and your reference to the poor efficiencies of fossil fuel systems is misleading. At any given moment we determine where we get our energy. If it is less expensive to make heat with cheap wind power instead of burning polluting fossil fuels, they will do so, no matter your figuring. It ain't cheap if you keep paying massive subsidies to it. UK wind power subsidies are over 119€/MWh and rising to 156€/MWh for at least the next 15 years. It's "cheap" to the person using it only because the government is forcing everyone else to pay for it. For the society as a whole, it's a ridiculous expense to waste such power on heating someone's bathwater. When you look at the matter from the perspective of the whole society, the decision to use wind power for heat is just so completely idiotic, it's like using tax money to buy people IKEA furniture for firewood. That is technically renewable energy too! they will do so, no matter your figuring. @ glam-Skippy. Truce for a minute Cher. I got the serious question for a change and thought since you spend so much time talking on this that maybe you know the answer or at least how I can ask Google-Skippy for the answer. Google-Skippy is picky how you ask and I am not having much luck. So I understand that California is cutting back on fossil fuels like coal for power, and nuclear too as you tell us. What I am wondering me, and I really can't find the answer that I understand is this. While California is cutting back on coal and nuclear are they replacing it kW for kW capacity with solar and windmills in California? Or are they buying more and more capacity from other states? @ Eikka-Skippy. How you are too Cher? You usually explain things so I can understand them pretty good even though I disagree with you on political stuffs. The technical stuffs you do real good without all the speechifying like some others. Maybe you would chime on in on the question I just asked glam-Skippy. If you can I would appreciate it. Not much coal to cut in California. I get no power from coal. They will probably replace San Onofre with Combined-Cycle gas plants, the most efficient combustion plants we have. Our additions of wind, Concentrated Solar, PV, geothermal, and other inputs will help. PG&E has no intention of closing Diablo Canyon, no matter what many folk want to do. Humboldt and Rancho Seco and Vallecitos all closed long ago. But we are getting more efficient every year, and with home systems, we will need even less. To clarify, they make sure their menu and range of choices are adequate to carry the loads. But with transmission lines, someone with excess capacity in another state can provide the power. Blocks of power are usually pre-sold. Typically, they arrange for the power by time and volume, and the companies on the transmission line keep in touch all day for changes. Every day is covered in advance. CAISO is always a good search word to add. It finds many interesting things. California has been putting up new natural gas plants to compensate for the increasing amounts of renewables. They've been running those plants at a higher capacity factor the past couple years to replace the lost power from hydroelectric plants because of the drought. That's as much as I know. I haven't seen the year-to-year breakdown of production. Thanks for trying but I think I ask the question wrong again like I did with Google-Skippy. Sorry about that. I will try him again asking a different way. How much power used in California is generated in California? Or how much does California use that is generated in other states? I'll have to find the details but some cities in SoCal still get power from coal plants in Arizona. "California produces roughly 70 percent of its electricity from power plants located within our state and from plants that are outside of the state but owned by California utilities. About 30 percent is imported electricity from the Pacific Northwest and the American Southwest." @ Vietvet-Skippy. How you are? I am good. Thanks for that, that is exactly what I was wanting to know, exactly. California utilities sell power to the Pacific Northwest in the Winter, and buy it in the Summer. ..cheap wind power instead of burning polluting fossil fuels..
unsynchronized with the grid demand, backed by fossil fuels as baseload, so cheap so clean so two-faced. No, Willie, they have historical data, taken for years before any siting is done, and they know where and when they will get it, with good accuracy. Bets are hedged, as utilities try to keep a 20% reserve margin for emergencies. And yet it -still- ends up making power at the wrong times of day when the demand is lowest. Yes. They do have historical data and measurements and choose the siting carefully according to where it's cheapest to build and where they'll get the most power, where there's good roads etc. And they KNOW the supply will not match demand, but because they KNOW that the government will pay them money for it anyways, because they've lobbied the government to pay them money, they go ahead and build it. As long as the subsidy is greater than the cost to the operator, it doesn't matter whether the wind turbines are of any use to anyone. Then apologists like you come along and try to explain black into white and white to black, or simply lie and propagandize.